Major John H. Upham, the board’s vice president, earned his rank during the Civil War. He enlisted in the 149th New York Infantry in 1862, served in the Army of the Potomac, and was wounded three times at Gettysburg, losing a finger in the process. In 1864 he became captain of the 107th U.S. Colored Infantry. Born in Fayetteville, New York, in 1841, Upham came to Duluth following the war, contracting with the federal government on river and harbor improvements at the Head of the Lakes. 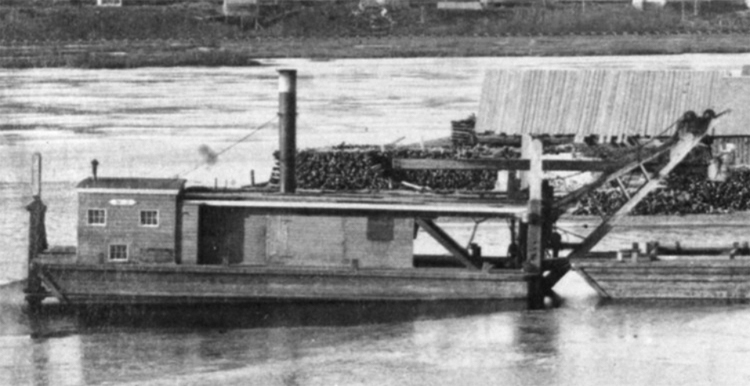 Upham was behind the wheel of the dredging tug Ishpeming when the vessel cut the Duluth Ship Canal in 1870 to 1871. Upham was called “the submarine diver of Duluth,” as in 1871 he surveyed portions of the St. Louis River by donning diving gear and walking along the river bottom. In 1872 he wed Libbie A. Banks, also of Fayetteville, and together they had two children. 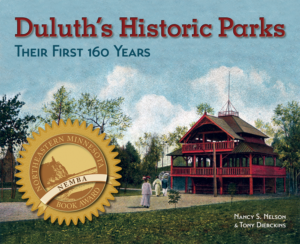 Major Upham also served on Duluth’s Parks Board. He died in a sanitarium in Lawrenceburg, Tennessee, in November 1920.